Infusion Health IV Lounge FAQs answers your curiosities and concerns about naturopathic medicine; as well as questions about our R and R Shot Bar and IV Lounge and Nutrient Therapy. 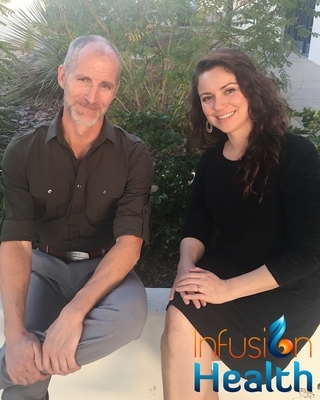 Please continue your research on naturopathic topics of interest by exploring our website and discovering how Infusion Health IV Lounge can get you revitalized and rejuvenated. Feel free to contact us if you have questions that are not adequately addressed here. We welcome your inquiries and do our best to respond to everyone. How long does a Vitamin Injection take? What is B12 and why do I want it? What is Glutathione and why would I want it? Does Infusion Health offer a Mobile Injection Service? Can I book Infusion Health for an Event? As soon as you walk in the door, we work to provide you with a friendly and relaxing environment. There will be a short intake form for you to fill out when you arrive at our clinic. Our practitioners will review your medical information in preparation for your vitamin injection to make sure that you are an ideal candidate. Vitamin injections are given using a 25g needle to deliver the vitamins/minerals directly to the system. A small “poke” sensation is normal and can cause some discomfort but we do have great injections. Some of the solutions do cause a big of a sting but the physicians know which solutions require lidocaine (a local anesthetic) which helps decrease the negative sensation of the injection. Walk ins are welcome on Fridays from 9am – 12pm. Infusion Health does offer its Happy Hour prices during this time as well. Happy Hour prices offer you great discounts on individual injections but also combination injections. You can schedule an appointment any time during our normal business hours (Tuesday – Friday during 9am – 4pm) for an injection at regular cost. Call to schedule your appointment. Yourself! And your enthusiasm to feel better and have better energy! have you in and out quickly. *Some individuals do notice minor stomach upset if they have not eaten and are receiving a “Get B’s” injection. This is a common effect from B6 and can easily be avoided you have recently eaten. Each individual is a little different so its hard to give a definite answer. Commonly people experience more energy and a better sense of well-being for 3-7 days. The time the nutrients last in the system are depending on how deficient you are and how much you move your body. The higher your metabolism and the more you move the faster you will use up the nutrients. If its your first injection we recommend you plan for 15-20 min. Especially if its during our Happy Hour time. First time clients will go through a small interview process asking questions about basic goals and reviewing allergies. Our goal is to give you the best Vitamin Injection based on your needs. B12 is a vitamin absorbed through our intestines and helps with the production of red blood cells, enhances our immune system, gives us more energy, and is great for our nervous system… It can also benefit individuals during times of increased stress. Vitamin B12 injections or B12 shots are a great way to give yourself a weekly boost of energy. If you are vegetarian or vegan B12 supplementation is a must because common sources are from animal protein. If you are vegetarian or vegan and aren’t supplementing you can join us for our weekly R n R Shot Bar and get B12 in your system the fastest way possible. Its quick and easy! There is sooo much to say about Glutathione and its positive benefits via injection. Glutathione is the master antioxidant found in our bodies. It helps support our natural detoxification processes but is also used up more quickly in those dealing with a chronic disease (ie. Diabetes, High Blood Pressure, Liver disease, kidney disease and cancer), stress, injuries and recent illnesses. Alternate a “Get Bs” one week with a “Detox” injection the next to get the best benefit from Glutathione. We also recommend utilizing via IV therapy. We always recommend giving Glutathione in its own bag after an IV to get the best benefit from this amazing antioxidant. Start with an Ultra Restore IV and finish with a Glutathione “Piggy Back” and you will leave feeling fantastic! Cash, Debit, Credit Card (Visa, MasterCard, American Express, and Discover) and Health Savings Accounts (HSA) and Flexible Spending Accounts (FSA) cards are accepted at Infusion Health. Every month Infusion Health offers a Fuel Up Friday discount special. Contact the clinic or take a look at the intro page to see what it might be. We also offer a weekly Happy Hour which greatly discounts the injections. Laura or one of the Doctors. Infusion Health can be booked for special events. Whether its a bachelor party, work party, athletic event or friends birthday party. We are available. Group discounts are also available. Schedule your event with us today!